Many people fear Jerusalem artichokes and with good reason. Misshapen and bulbous and with scaly skin, they sort of resemble a tougher, harder cousin of say, ginger. A tuber then, that looks like it should be left in the soil and not allowed out into the playground of the kitchen. Saying that, when left in the ground, Jerusalem artichokes do have a tendency to run amok. When I used to have a plot down at my local allotment, they were the bane of my neighbour, who used to pull out what little hair he had left. And all because the little bleeders were popping up among his broad beans and rhubarb. 'MY GOD, THEY ARE EVERYWHERE!' he used to scream. There is also the delicate subject of, ahem, wind. In just hours, they can conjure and solicit the most noxious of personal gases, due to a soluble fibre called inulin, that doesn't get processed until it is in the lower intestine. Hence the all the subsequent trumpeting. So as vegetables go, there really is not much to be said for fartichokes. But I have to say, despite it all, I am a big fan. 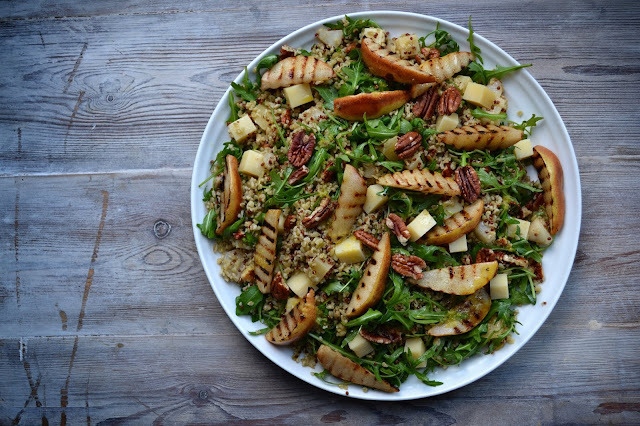 Because they really are deliciously sweet to eat, particularly when they're roasted or blitzed for soups. And I do get a thrill after eating them, counting down the hours to Armageddon. I've made my way down to the local bus stop before, having consumed a bowl or two, just to see how many heads I can turn. Once, I got four swivels of disapproval, straight out of the bag. Four! It felt like I had just won The Voice. 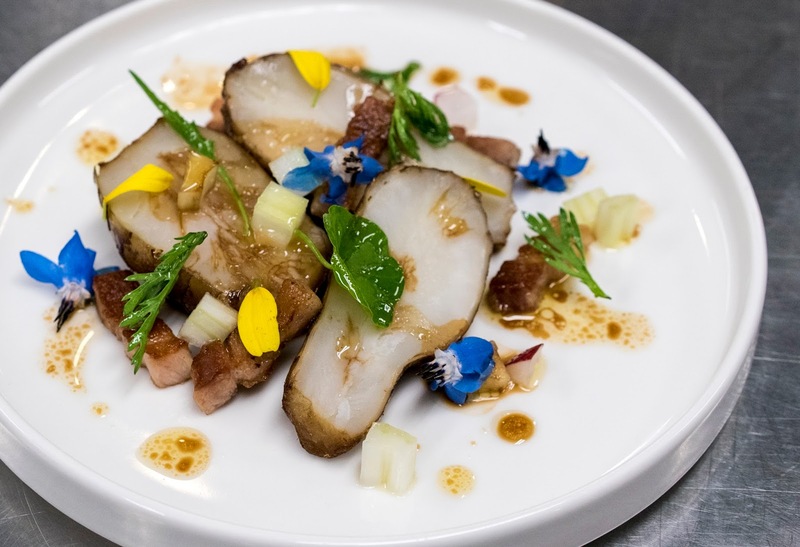 It was with great curiosity then, when I turned up to a masterclass hosted by three Michelin starred chef Roberto Petza, of S'Apposentu, along with Lavazza Coffee and Great Italian Chefs, to hear that these little beasts were on the menu. 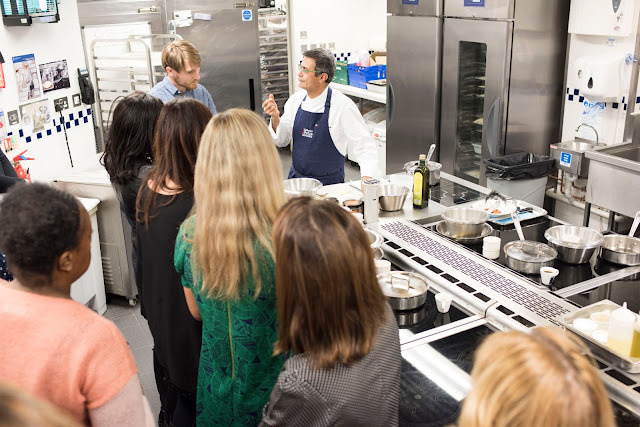 Held at Le Cordon Bleu in Bloomsbury, the evening was to be an exploration of testing unusual combinations, experimenting with herbs, wine and chocolate. 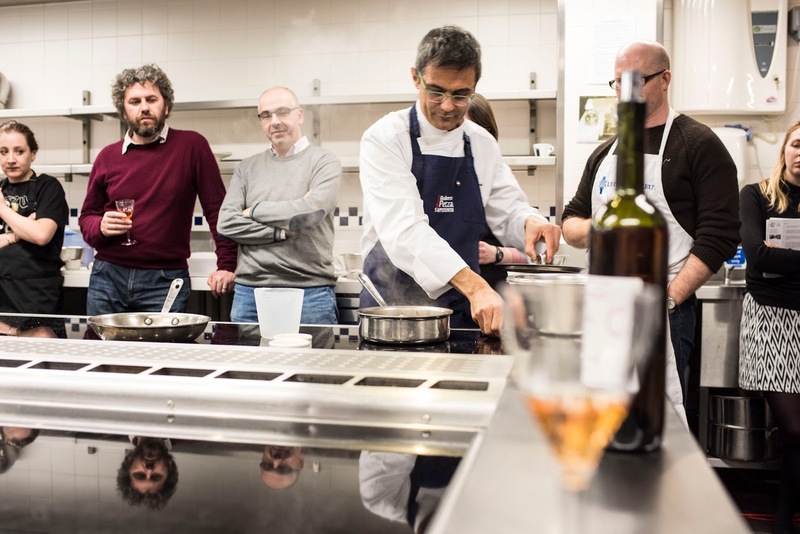 To kick off proceedings, Roberto explained that we were going to learn how to make his famous Jerusalem artichoke salad with a Lavazza Kafa coffee dressing. Which made me smile, wryly. 'Do all people in this room know what they are letting themselves in for?' I thought, as Roberto went about the calm business of slowly explaining his methods in broken English. All staccato and slightly shy but considered nevertheless. 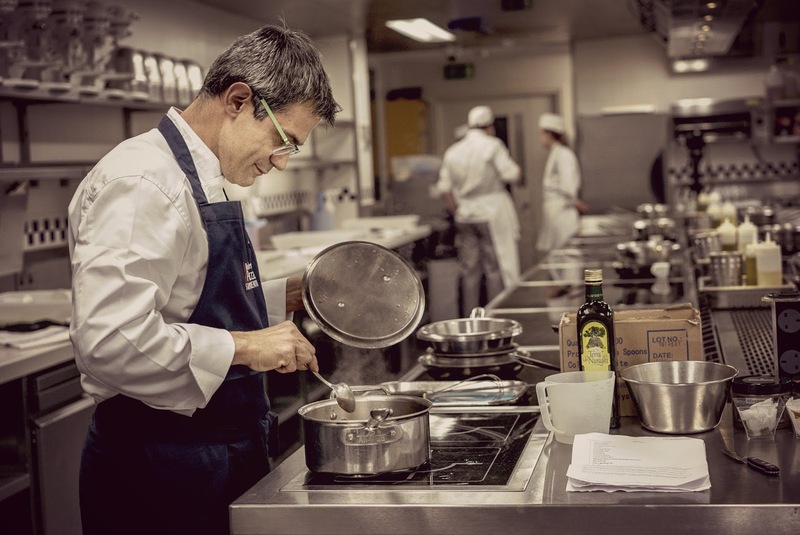 Watching a top chef cook is and always will be pleasure for me and seeing Roberto go through his paces was no different. There is a certain fluidity when observing the hands of a professional; dipping in and out of the scene, tasting, turning, chopping, dressing, moving, cleaning. It's all very... mesmerising. I realise that I am gushing a bit here but in the environs of the high-tech chrome kitchen, he made things look really easy. Meanwhile, all I kept thinking about were the induction hobs. How did they work again? You put the saucepan on? The saucepan off? Do the hokey-cokey and you turn around? Yes? No? Anyway, before long, Roberto soon turned a plate out that looked both intricate and delicate. Yet in reality it was alarmingly simple. 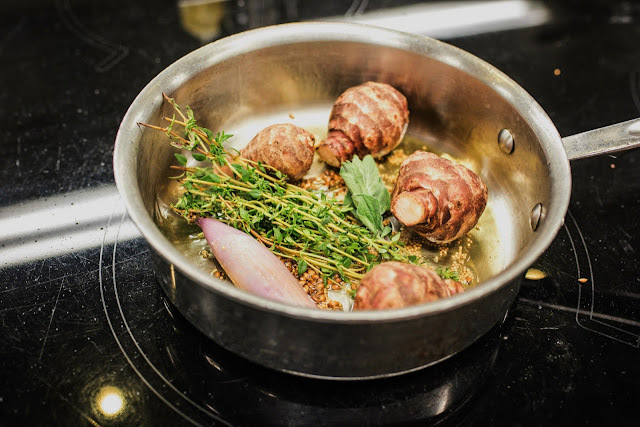 The Jerusalem artichokes were braised whole and in their skins, with a heady combination of 'good' olive oil (Roberto brought his own with him, sourced in Sardinia), spices (coriander seeds) herbs (thyme, rosemary and marjoram) and garlic and whole shallot, lid on. In another pan, cubes of pancetta were crisped up and after 30 minutes or so, the 'chokes were plucked out and left to cool slightly; whilst radishes, fennel and celery were sliced into uniform cubes. The vinaigrette, the element to tie everything together, was made using some of the citrus Kafa coffee, some seasoning and some more of that good olive oil All it took then were a few deft slices, to reveal that the artichokes were just cooked through, some nimble presentation (including an edible flower or two) and bang it was done. "Now, it's your turn," Roberto said, smiling away to himself. Now here is the thing. I am not sure if I have ever attended a cookery lesson where I have ever been able to properly replicate a dish, that has just been demonstrated in front of me. All recipes, of course, are open to interpretation and even when copying someone's dish, your own personal judgement is going to be skewed by perspective. A good comparison would be a life drawing class. You can guarantee that pupils in the darkened room will all look at a 60 year old naked man and come up with totally different charcoal etchings. Especially those sitting in front of him. Compared to those gratefully sitting at the back. However, I really wanted to nail this and I think my cooking partner Angela could tell. In fact, I think she really wanted to hit the brief too and as such, we both dedicated ourselves the next 30 to 40 minutes with immense intensity and fervour. With brows bent, sweat pouring forth and tears slowly trickling from the corners of our eyes. Some brunoised fennel were thrown away (too big or uneven). Some bacon was devoured (too crispy and we were hungry). But we felt like we were on track. Roberto even passed around on several occasions, lifting the lid on our pan and staring in, before popping it back on with a wink. "It's.......different. Your pancetta....is too...crispy. But good effort, eh?" he said, before patting me on the shoulder and walking off. If there were ever a more gentle let down by a Michelin starred chef, that was probably it. In my defence though, I have to say that it tasted pretty spectacular when I tucked in afterwards. Those fruity coffee notes in particular, balanced very well with the pepper and aniseed of the garnish and the earthy flavour of the artichoke. It was all quite surprising really. Or maybe not, as Roberto is clearly a man who knows what he is doing. Which leads me back to the naughty and frivolous qualities of the humble Jerusalem artichoke. Later in the evening, after traveling back to deepest Essex, there was ne'er a peep of the usual emanations, the evil spirits within. Nothing at all. So through this process of braising slowly, has Roberto finally combated the stigma that surrounds this wonderful vegetable? Is this...science? Who knows. I do know that I quite fancy putting this dish on the menu for a charity supper club I am running later in May. Although if the evening ends in a resultant and tempestous chorus of horn-like guffage, then I will have definitely gone wrong somewhere with regards to the recipe. Maybe I need to email Roberto for some of that 'good' oil. Maybe that's the key. Thanks to Great Italian Chefs and Lavazza Coffee for inviting me to this event. This course was so much fun and it was great to get to know another blogger!